Ok so technically, it is not 12:00am in California, SOOOOO I am thinking I still have my project in by Monday. Hey everyone. 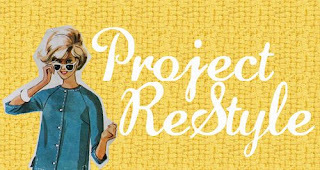 Welcome to Project Re-Style # 28.
as always all the information for Project Re-style will be at the end of this post. There was a shirt that I saw on Ava Gardner, in the1953 movie, Mogambo . I looked for a picture, but I could find nothing. She had on an off the shoulder, white shirt, and it just screamed summer. 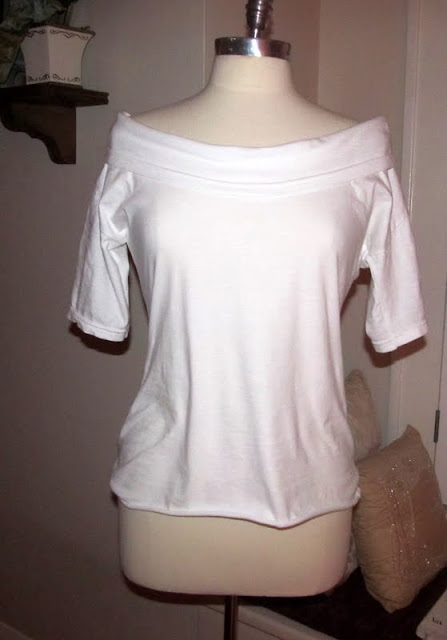 This is a T-shirt version of Ava's shirt, made out of a white hanes T-shirt. 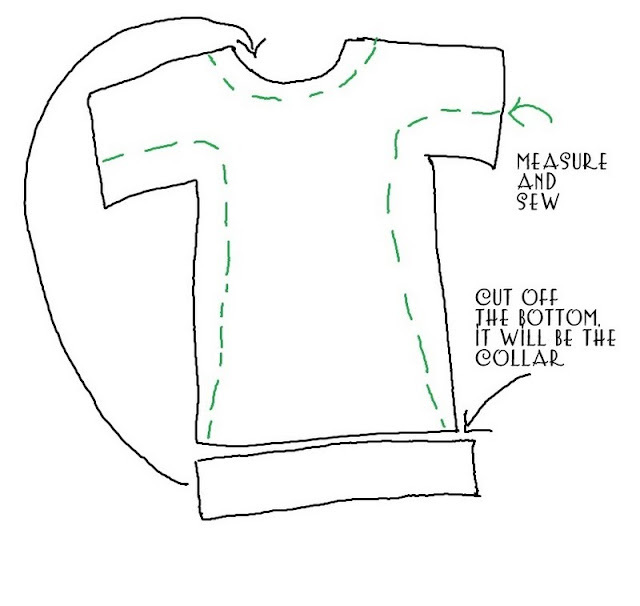 1 Try on your shirt and see where you want to cut the collar, then cut the collar. 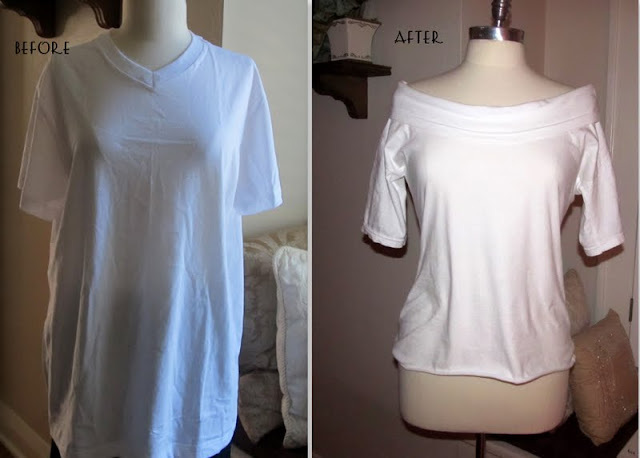 2. turn your t-shirt inside out and lay it down , go and get your favorite tee that fits you perfect. lay that on your shirt and mark. 3. 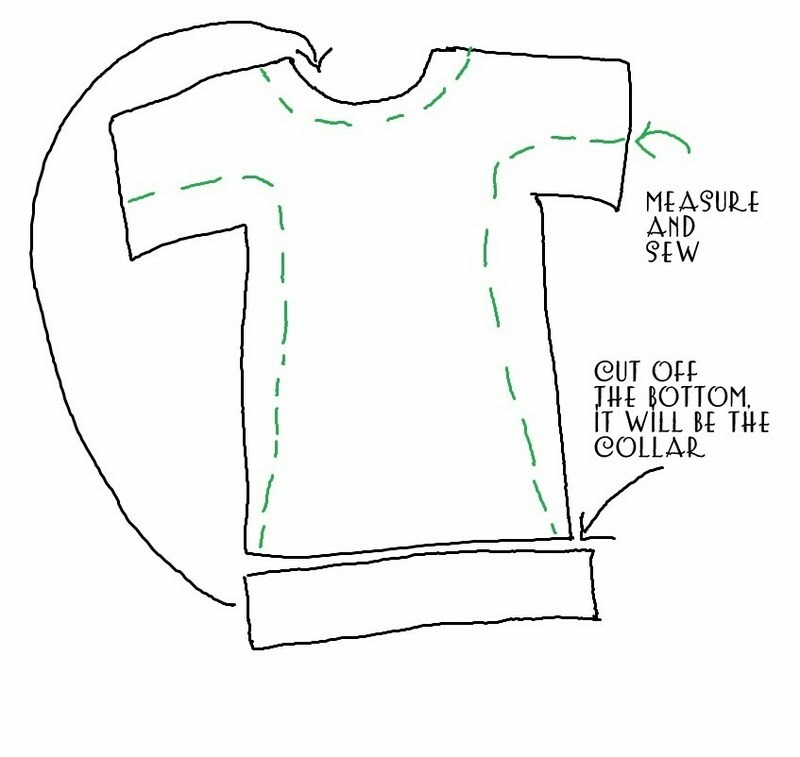 Sew where you marked. 5. If all looks well, trim off the excess material. 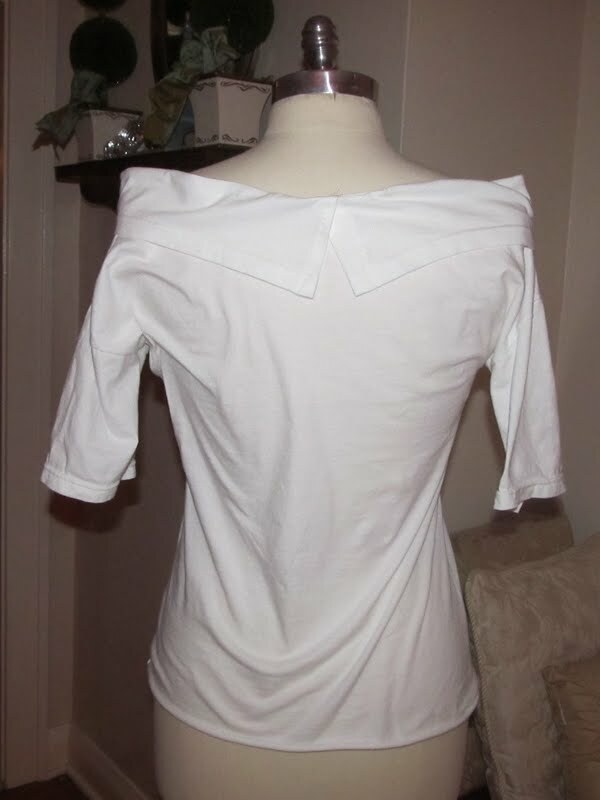 Take your collar from the bottom part that you cut off and put the right side of the collar to the wrong side of the shirt. and with that, you are all done. You always have the best instructions. This looks fantastic!!! How cute. I wish I could wear off the shoulder things. And I'm definitely going to get a T shirt and play around. I also think I need a dress form. I'm not so good at trying to fit on myself. Love the collar! Don't know if I can sew well enough to do this, but its a great restyle. This is soooo cool and I'm itching to try it. 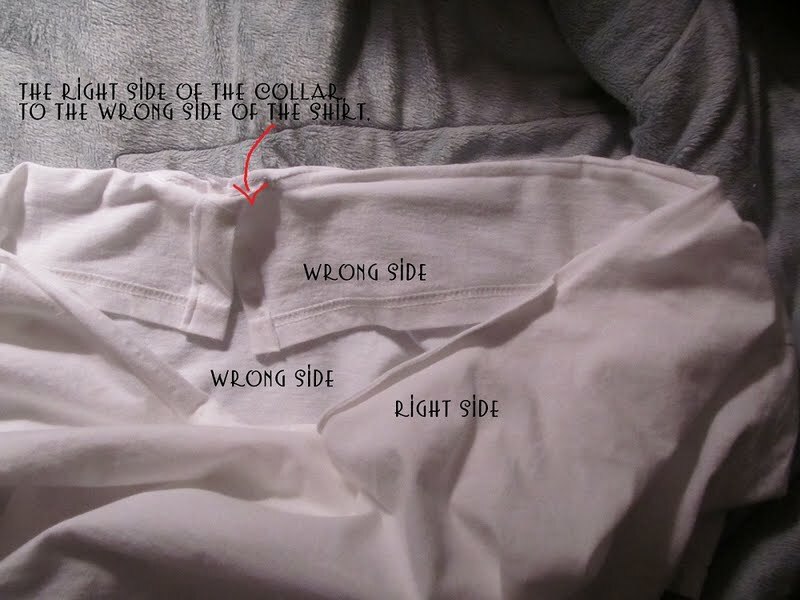 However, just how big do you have to cut the collar away? I read it, and made it in just over an hour! It is adorable! Thank you for this re-style! Next time, I will need to make some adjustments...less off the collar, more off the bottom...minor, personalized stuff! Love it! thanks a lot for the good tutorials and best re style ever! !